Highly experienced in human rights and immigration matters. Tasaddat is an established, busy and well respected practitioner who is highly sought after with an excellent success rate and 20 years’ extensive experience in Public Law, judicial review, human rights and immigration. Tasaddat's Public Law practice is recognised by Legal 500 UK and he is ranked as a Tier 1 Public Law practitioner, commending him as “highly experienced in human rights and immigration matters”. Tasaddat has become renowned for his expertise and breadth of understanding and will always approach each case with commitment and enthusiasm. He is prepared to consider conducting pro-bono work on a case by case basis. 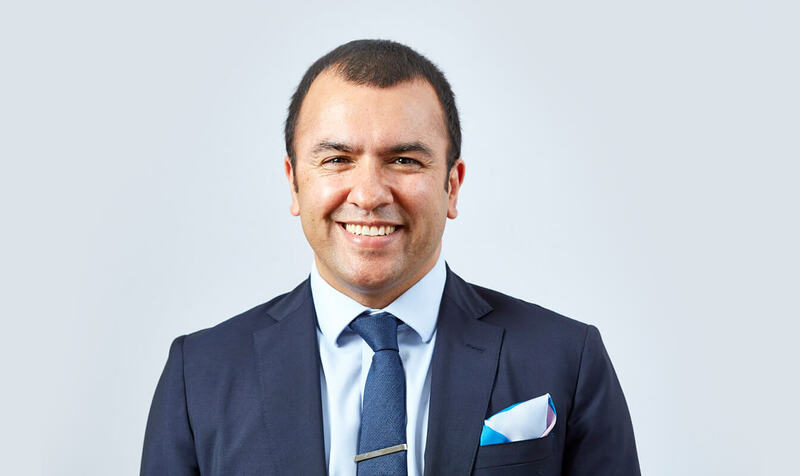 He regularly conducts applications for non profit organisations such as Bail for Immigration Detainees (BID) and Manuel Bravo, as well as other charitable organisations. In addition to accepting public access instructions, Tasaddat is authorised to conduct litigation. UASC – disputes regarding claimed and assessed age, the type of support provided (namely section 17 or section 20 CA 1989): entitlement of children leaving care services; disputes between Local Authorities regarding responsibility for UASC. Tasaddat presents asylum, human rights and deportation appeals at all levels before the IAC. He has undertaken a number of country guidance cases. He accepts instructions to draft grounds seeking permission to appeal in complex matters on behalf of solicitors who require his particular expertise. He is renowned for his work relating to Article 8 ECHR and is often retained by clients seeking a practitioner with a deep understanding of this rapidly evolving sphere of Human Rights law. He regularly appears before the Court of Appeal on both asylum and human rights matters and has successfully conducted cases both as a junior and in his own right. Tasaddat undertakes commercial immigration work, representing and advising business clients in all aspects of commercial immigration and the points based system. The increase in foreign sportspeople in the United Kingdom, coupled with global sporting events, has led to an increasing demand for immigration law in this particular sector. Tasaddat has a breadth of knowledge and understanding which is unrivalled, providing a bespoke and results-focussed service for international sporting clients. Tasaddat conducts appeals before the SRA Adjudicator Panel and the High Court against alleged transgressions under the Code of Conduct and applications for re-instatement to the Roll as a solicitor. Tasaddat has successfully undertaken appeals on behalf of individuals seeking reinstatement after being “struck off”. Tasaddat is regularly retained to advise on family matters with an immigration aspect. For example, issues involving domicile, the relevance of on-going contact proceedings in deportation appeals and the rights of other family members, typically children and/or an estranged parent and the impact upon their rights from immigration decisions. “(1) The compelling reasons proviso in article 1C(5) of the 1951 Refugee Convention, as amended, applies in the UK only to refugees under article 1A(1) of the Convention. (2) Changes in a refugee’s country of origin affecting only part of the country may, in principle, lead to cessation of refugee status, albeit it is difficult to see how in practice protection could be said to be sufficiently fundamental and durable in such circumstances. Risk, women, PSG, internal relocation, error of law, UNHCR guidelines on internal relocation. The Upper Tribunal rejected the United Kingdom Government’s policy that underpinned their arguments, and found that there has been no significant and durable change in the human rights situation in Eritrea. The Eritrean Government continues to subject its citizens to indefinite military/national service, during which conscripts were exposed to severely abusive treatment and torture. The Eritrean Government continues to view citizens who leave Eritrea to escape such abusive condition as having left the country illegally and “deserted” or “evaded” national service and routinely subject returnees to persecution and ill-treatment. Significantly, the Upper Tribunal broke new ground to establish that the requirement to undertake military service is unlawful as it amounts to forced labour contrary to Article 4(2) of the European Convention on Human Rights. This decision secures important recognition and protection for Eritreans who routinely face severe ill treatment, persecution and even death upon return. It was reported in The Guardian. (i) In some cases the overriding objective will dictate that the respondent’s skeleton argument is served in advance of that of the appellant. (ii) The test for disclosure is whether receipt of the material in question is necessary for the just and fair disposal of the appeal. (iii) Where uncorroborated and/or anonymous evidence is received, the Tribunal’s task is to scrutinise it with caution and to attribute such weight as is considered appropriate. (iv) Documents obtained by a party pursuant to disclosure or production orders or directions are produced under coercion and, in consequence, are received subject to certain restrictions. In particular, they must not be deployed by the receiving party for any collateral or ulterior purpose not reasonably necessary for the proper conduct of the proceedings. (v) The so-called implied undertaking, reflected in [iv] above, applies in Tribunal proceedings. However, it may be subject to modification to reflect (a) that the primacy of protecting a party’s private documents and invading a party’s privacy does not apply with full force in such proceedings, particularly where the custodian is the Secretary of State, (b) the duty of candour owed to the Tribunal and (c) the inquisitorial dimension of Tribunal proceedings. (vi) In matters of disclosure and the provision and exchange of evidence, all parties are subordinated to the authority of the Tribunal, which is the ultimate arbiter of all procedural and substantive issues. Returns to Iraq, Article 15c, weight to be attached to UNHCR, internal flight. The Upper Tribunal identified the applicable principles to assist in the determination of appeals where children are affected by an immigration decision. The provisions of the Immigration (European Economic Area) Regulations 2006 concerning, respectively, self-employed persons and workers ultimately derive from different previous Directives and cannot be elided so as, for example, to create a concept of “self-employment seeking”. Accordingly, a person cannot combine a period of self-employment with a period of seeking employment, so as to achieve a requisite period of residence under the Regulations. Risk to teachers/former teachers from Matabeleland and Bulawayo. (1) The rules governing (and approach to be taken) in the assessment of “capital” and a sponsor’s entitlement to state benefits and/or “recourse to public funds”; (2) their impact in immigration cases on the maintenance assessment under the Immigration Rules pre- and post-July 2012; (3) adequacy of maintenance from third-party support via a Quistclose trust pre- and post-July 2012; (4) Evidential burden and standard of proof in cases involving Quistclose trusts and third party support. Country guidance on returns to Iraq, risk categories, internal flight and internal armed conflict, Article 15(c). Women and Children, Internal flight, risk on return. Test cases on the application of the “second-tier appeals test” (under section 13(6) of the Tribunals Courts and Enforcement Act 2007) to immigration and asylum cases. “Realistic prospects of success” is not enough. Permission to appeal may only be given if there is an important point of principle or practice or “other compelling reason” for the Court of Appeal to hear the case: this must be “legally compelling”. Fresh Claim – para 353 HC 395. Judicial Review against LAA’s (formerly LSC) failure to award an immigration contract. Secretary of State acted unlawfully in refusing to treat the Claimant’s representations as amounting to a fresh claim under paragraph 353 of the Immigration Rules. Secretary of State was order to reconsider her decision in accordance with the law. Whether it was lawful for the Tribunal to place determinative weight upon particular conduct identified under section 8 of the Asylum and Immigration (Treatment of Claimants) Act 2004 as damaging the credibility of a Claimant to such an extent that it outweighed (a) accepted supporting medical evidence confirming scarring inflicted from torture in a manner and at a time consistent with the core of the claim, (b) supporting objective evidence of the treatment meted out to the claimant and (c) corroborating oral evidence from witnesses. The Court of Appeal interpreted section 8 the Asylum & Immigration (Treatment of Claimants etc) Act 2004 to ensure compatibility with the overriding duty to apply close and anxious scrutiny to an asylum and human rights claim. Despite there being no apparent ambiguity in the clear wording of the provision, the court went on to insert an additional word so that the provision would not offend the doctrine of separation of powers and implicitly, the right to a fair hearing. “When construing s 8(1) of the Asylum and Immigration (Treatment of Claimants, etc) Act 2004, which provided various factors that the court should take account of in assessing the credibility of an asylum seeker, the qualifying word ‘potentially’ should be read into an explanatory clause which would then read: ‘as (potentially) damaging the claimant’s credibility’.” Appeal allowed and remitted to AIT. Upon remittal, Home Office conceded appeal and granted refugee status. Guideline case before the Master of the Rolls on the principles governing the conduct of the SRA’s Adjudicator Panel when investigating allegations of dishonesty against its members. Appeal allowed and Petitioner reinstated. Guidelines for the admissibility of finger print evidence from the EU finger print data base. The principles governing the use of such evidence, the burden and standard of proof to be applied when evidence was produced by the system of past claims in order to expose deception in the current asylum application. Women in Bangladesh; particular social group under the Refugee Convention. Removal to Iraq in order to apply for entry clearance as a spouse from Jordan held to be an unlawful interference with right to family life under Article 8 ECHR. Political prisoners and prison conditions; breach of Article 3 ECHR. Approved advocate for Bail for Immigration Detainees. Tasaddat’s Privacy Notice may be viewed by clicking here. I have always found him to be very knowledgeable and detailed in this field of work. He always approaches each case with enormous enthusiasm, and he will often go above and beyond what is required to assist in the progress of a case.